The Shambulance is an occasional series in which I try to find the truth about bogus or overhyped health products. Helping me chart a course are Steven Swoap and Daniel Lynch. Before I learned that it costs $65 to $90 to starve yourself for a day, I considered trying one day's worth of "juice cleansing" to put myself into the proper cranky fog for writing this piece. But if I'm going to eat no calories, I prefer to spend no dollars. What did I give up by fueling myself on solid foods instead of liquefied produce? Really, one day would have been merely dipping a toe into the celery water. If I were a serious client of a juice cleanse company, I would pay for anywhere from three to ten days' worth of bottled juices, delivered to my doorstep in a cooler every morning. The first few days of deprivation would, in theory, "cleanse the blood" and release toxins from my tissues that have been slowing me down and making me sick. I'd give my colon a break while "sweeping" it out. The latter days would boost my immune system and "fight off degenerative diseases." After all that detoxifying and boosting, I would feel energized and restored. I might even have lost a few pounds—but it's about health, not weight. In the midst of my cleanse, I could experience unpleasant symptoms. "Don't Panic," the website for BluePrintCleanse would reassure me, "It's Just A Healing Crisis!" Apparently, a body that's becoming healthier looks a lot like one that's unwell. Symptoms of detox may include fatigue, headaches, nausea, hives, decreased bowel movements, increased bowel movements, strangely colored bowel movements ("Did you just drink some of our beet juice? "), dry mouth, runny nose, and canker sores. I should ignore those symptoms, drink herbal tea, and be reassured that I'll soon be skinnier. Sorry, healthier. I sent some promotional materials on juice cleansing to Steven Swoap and Daniel Lynch, both biologists at Williams College. "Where to start?" Swoap said. The subject of "cleansing" has been covered on this site ad nauseam (not to mention ad headache, ad fatigue and ad canker sores). But to recap, your body does its own cleansing via your kidneys and liver. The wastes and unwanted materials those organs filter out leave you via the toilet—not through your sweat glands or the soles of your feet or water blasted up your colon. And depriving yourself of calories doesn't make the process go any faster. If anything, it's the opposite, because fasting slows your metabolism. BluePrintCleanse claims that the energy you save on digestion by not eating any real food gets diverted to "other metabolic processes." But Swoap says this is false. Your whole metabolism will slow at once, not just the tasks attached to digesting food. This will make it harder to lose weight. The same website reassures users that they won't feel light-headed during a cleanse: "On the contrary, one's mind becomes clearer and one's ability to solve problems enhances." All the blood and oxygen you would normally use to process your food, it explains, get sent to your brain instead. "Wrong," Swoap says. "The same amount of blood and oxygen is delivered to the brain under nearly all conditions." Reducing your calories won't send more blood to your head. Actually, fasting can make your blood pressure drop, which is the one circumstance in which less blood will reach your brain. So much for that clearer mind. In an article from the Boston Globe on juice cleansing companies, registered dietician Marjorie Nolan Cohn says that after a few days of fasting, "you become lightheaded and dizzy, and that euphoric feeling starts to come on." She adds, "I work with a lot of anorexics, and they feel euphoria, too." Company websites are quick to insist that juice cleansing isn't fasting, even though their plans may provide under a thousand calories a day. And of course it's not about the weight loss—unless you're a bride-to-be. In that case BluePrintCleanse encourages you to "Drink your way to your best shape ever" before walking down the aisle. The company offers bridal packages ranging from six to thirty-six days of juice. Elsewhere on its website, it recommends you consult with your doctor before spending more than ten days on a cleanse. But when I emailed to ask how many solid food breaks are in a thirty-six-day juice program, a representative replied that I could schedule my days however I liked. "If you don't use all the juice days before your wedding, you can save them for after your honeymoon," she said. But I'm also free to schedule five consecutive weeks of fasting through the site. "Congratulations!" the representative wrote. By the way, that package would be $2,415.00. "In reality, for a healthy person to blow a bunch of money to purchase the juices and drink them over a couple days is probably not harmful," Daniel Lynch says. (The operative words being "a couple days.") "And if it serves as some motivational tool to eat better, etc., it is fine." But if your goal is to give your digestive system a rest, he adds, "why not go with an IV bag of dextrose?" And if you're looking to empty your colon, Lynch points out, a cheap laxative will do the trick in about six hours. "Why spend loads of money and suffer through days of drinking liquified kale?" He sounds a little cranky. Maybe he missed a meal. Based on my personal experience, I've seen juice fasting used as a great tool to kick off a new nutrition program or break away from a food or caffeine addiction. It's the dependency on these items that makes the fast so difficult. As part of the juice fast brain washing, I'd recommend checking out "Fat, Sick, and Nearly Dead." It offers some great counterpoints to your concerns with cost, duration, and side effects. Actually, it's possible that a day or two of baloney would be a better diet than a "juice cleanse". You spelled bologna wrong...... "baloney" , after attempting to make a point- makes me chuckle. I'm not sure I understand your comment about "food addiction." Yes, I'm dependent on food, in that I'm an active adult human and depend on a certain number of calories to fuel my body and brain. Fasting is hard because I'm deliberately depriving myself of those calories. That seems pretty different from an addiction to nicotine or caffeine, no? I don't think the point you made in your comment is backed up by what you wrote in your article. Your article seems more focused on the actual juice fast being harmful and less focused on the ridiculous companies that are making money from this using harmful marketing plans. I did a 3 day juice fast a few weeks ago where I made all of my juice and kept track of calories (900-1200 per day, if you used the calorie content of the entire fruit which my research suggested was ok). This did not cost more than a total of $60 for the 3 days and I had tons of left over fruits and veggies that I used to make soups with. During my fast, I felt amazing accept for one night where I was pretty grouchy. I did bikram each day of my fast and did not feel any of the side effects you listed. I didn't do it to lose weight. I did it to regain control of my awful eating habits and have successfully adopted a vegan diet since the fast. I haven't felt this good in a long time. I can only think of three pluses to juicing that I'd care about. It can get at some trace nutrients found in fresh produce, prep time is short, and stuff like a mango-carrot-ginger mix is mighty tasty. Downsides, besides the ridiculously low calorie level and the false expectations, where are the protein and other nutrients derived from less juice-able foods? And it's pricey. It is my understanding that for juicing to have any benefit whatsoever, it has to be freshly done and consumed immediately. A bottled juice that has been pasteurized is not valuable to consume. Fruit juicing is also not recommended because of high sugar content. 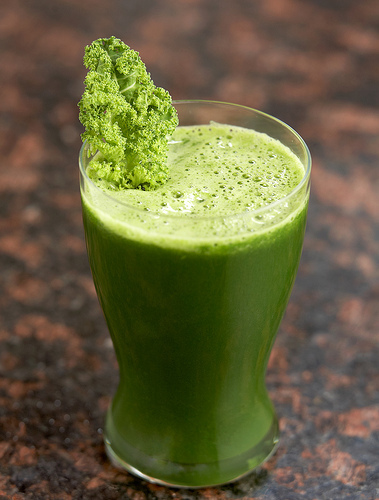 A green vegetable juice made fresh at home is another story. As supplemental not replacement. I see no actual study done to the benefits or lack of from a juice fast in your article. You say it lowers blood pressure and there is an actually study on that why not include it? Agreed they are too expensive and possibly not worth it...but where is the evidence? As someone who has juice fasted for yeas, all I can say is that for me, they work. I always feels great during them ( after I got through the initial 'bad' cleansing experiences.). I feel even better afterwards. I have a juicer, so no need to spend $60 a day. Whenever I feel sluggish, fatigued or need to loose weight, a juice fast is my first course of action. Thanks for an in-depth analysis of one of the most bogus and potentially dangerous "alternative medicine" (an oxymoron: if it's been studied and shown to work, it's medicine) modalities. "Alternative" means untested, or, nowadays, tested and shown to be ineffective. That some feel good after speaks to the remarkable power of placebo effect. another bit of bogosity a while back, on my website, Surgeonsblog. The human capacity for credulity is unlimited. The article is intersting but not entirely accurate. First, it does not cost $60 a day to juice. Go to your local veggie market or grocer and pick up apples, mango, carrots, kale, cucumbers, berries, etc. Organic is best but not necessary if thoroughly washed before juicing. Before I purchased a nutri-bullet, I used my juicing machine which works great. However, I did find that I was generally hungry while juicing since the pulp was separated from the juice. The plus with the juicer is I can make homemade veggie burgers with the pulp. Nothing wasted. With the nutri-bullet, everything is emulsified. It's very filling and tasty! My skin looks better and I sleep better. Two huge bonuses! Oh, the cost is maybe 3-4 bucks a day. That's it. People shouldn't just consume one thing. You might think its healthy to just have juice all day long, but that's WRONG. You need a variety of everything! Just avoid lots of sugar (soda, sugary drinks) and fast food and generally greasy fatty foods. Stick to healthy foods, duh. And exercise!!!! None of you can read. there are many websites that offer to SELL you their juice cleanses complete with consultation with their "nutritionists" as well as recipes. so not worth it. As a Dr. I've seen juice cleanse work for cancer, heart disease, obesity, and diabetes, which are the top killers. You can make your juice for a fraction of the cost of medicine and surgery and live a higher quality of life. Again, you expert is someone with a degree in exercise. Call the police, the driver of the shambulance is unlicensed and picking up sick people.